We at Appeal Fashions offers you wide range of diamond pendant sets india such as pearl pendant sets, gold pendant sets, necklace sets and mangalsutra. We also sell bridal bangles sets at cheap and affordable rates. Lady's Bird Pendant Set, that we offer, is a gorgeous enameled pendant set that has pearl and turquoise colored stones. 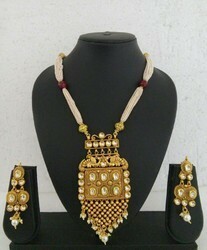 The earrings of Lady's Bird Pendant Set are extremely beautiful that are sure to allure everyone. 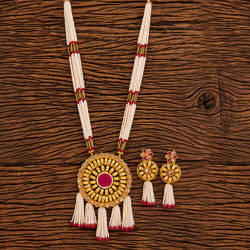 Become the centre of attraction with this Lady's Bird Pendant Set.